On April 2 more than 600 students from Kent State University, The University of Akron and Walsh University spent their Saturday dancing to raise money for Akron Children’s Hospital. Their dedication brought in a combined donation of more than $65,000. 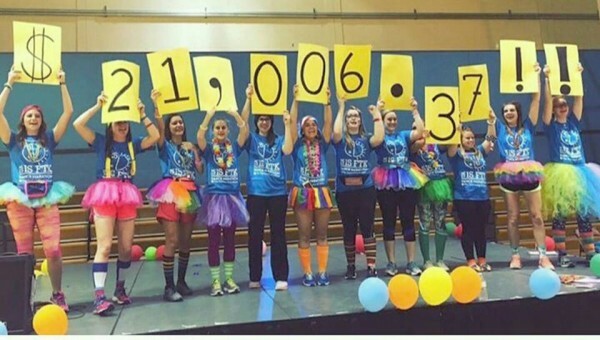 Brittany Costa, associate coordinator of special projects for Akron Children’s Foundation, says that for her one of the most enjoyable parts of working with this year’s Dance Marathon events is seeing the students’ growth, not just in dollar amounts. “Each university had great years and total amounts raised in 2015, but to see their hard work, dedication and willingness to grow was pretty special,” says Costa. One student who has grown in her dedication to supporting Akron Children’s is Hannah Marcum, director of Dance Marathon at The University of Akron. 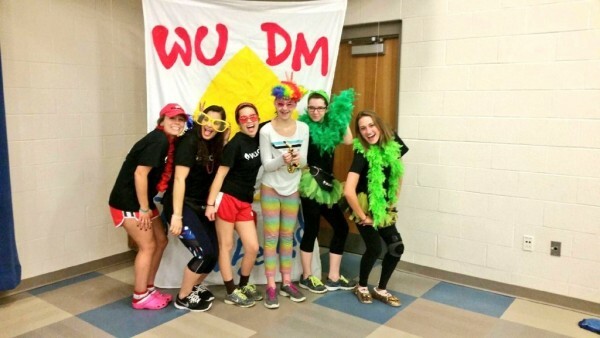 Marcum first got involved with Dance Marathon after connecting with Akron Children’s mission as a hospital volunteer and then seeing how Dance Marathon could impact the lives and happiness of children. 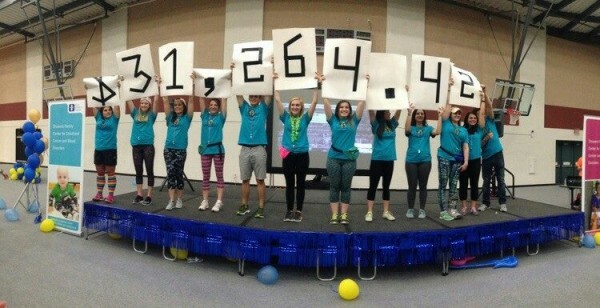 The University of Akron’s Dance Marathon brought in about $21,000 for Akron Children’s. Marcum had more than 85 University of Akron students register as dancers and said that more than 50 community members attended. Akron Children’s patients and families visited all three fundraising events and Hilary Shafer, director of Kent State University’s Flash-A-Thon, says that was a big motivator and source of inspiration for the college students. This year, Flash-A-Thon raised more than $30,000 and had more than 400 students registered for the event. Shafer says she felt support from the entire Kent State student body. Topping all 3 event’s lists of memorable moments was when the patients joined in on the dancing while they were visiting the fundraisers. Twelve-year-old cancer survivor Mackenzie Roach learned Walsh University’s final morale dance during the group’s last rehearsal before performing. “She caught on so fast! 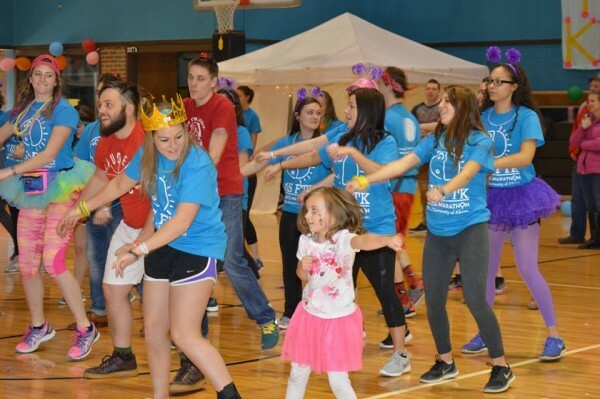 She loves to dance and was so happy when she was able to dance with us,” says Katherine Hamrock, Walsh University’s Dance Marathon director. 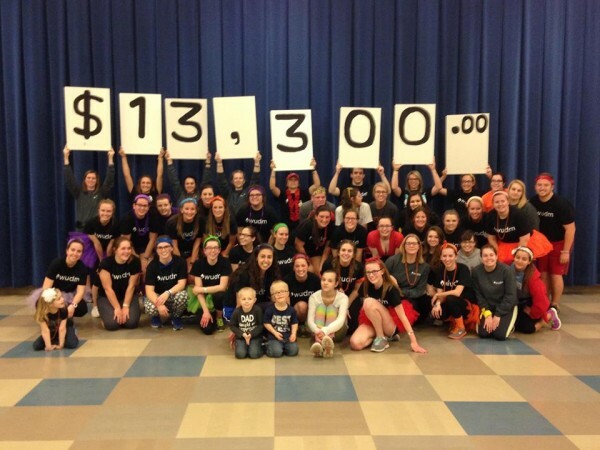 Walsh University raised just over $13,000 through their Dance Marathon and had 76 students register as dancers. Hamrock says while many students may have come into the event not knowing anyone else, by the end there was a definite sense of community. The fact that the Dance Marathon events are put on entirely by these local college students is what Costa says makes it a special fundraiser for the hospital. “It is a pretty amazing thing to see these students so philanthropic and passionate at their age,” says Costa.